Displaying 1-20 of 130 events. This workshop explores the insurance needs of artisan small business owners and will help you understand the nature of risk management. Help us welcome the Easter Bunny to Pine Centre Mall. On March 23rd from 1-4 we will have free treats, professional face painting, eater basket making crafts and Easter egg hunts! Head to pinecentre.com for details. Create fine metal jewelry from a clay-like substance! Learn the basics of this exciting medium and create a necklace pendant or button. Learn how communication & leadership skills can take you to where you need to be! Toastmasters is a safe, friendly way to learn how to communicate at meetings, interviews, or in the community, and be a valued leader in any organization. This is a free, guest friendly event with no commitment to join. 788 Pulpmill Rd, PG (across from Northern Lights Winery), by donation. No experience nor knowledge required, just your willingness to move with diverse genres of rhythmic world music in a wave like sequence. A regular community event for every body, which intends to facilitate free conscious movements with rhythmic music in a safe, shoe- and drug free space. It offers a space for potential physical and mental re-balancing and reconnecting ourselves and community . Reconnecting on different level is essential for health and needs to be experienced. Bring a water bottle and comfy clothes in layers (prepared to sweat). Explorative free movement with awareness (focus on movements, breathing, sensations and emotions) provides the potential to feel, return to , release and express our authentic selves. Dance as one traditional human form of meditation, ceremony and ritual can contribute to a shift in consciousness. Surrender to the music, our movements and our emotions, is guiding us. It can help release stress, providing natural body exercise based on our own inner wisdom as well as the experience of non-ordinary or altered states of consciousness, where we can let go of our thinking mind. Join one of Canada's premier professional wildlife photographers, John E. Marriott, for a two-hour wildlife photography seminar focusing on making you a better wildlife photographer. John covers the backyard basics and delves into a variety of topics, including an in-depth, beginner-to-advanced overview of your optimal camera settings and techniques for a diverse range of wildlife photography encounters and situations. John will provide a run-down of his own gear and what he considers to be must-have equipment, he’ll provide a comprehensive look at how to capture action in wildlife photography, he’ll look at the ethics of photographing wildlife, and he will provide insight into how to make a career as a wildlife photographer. Join John as he shares with you his experiences photographing polar bears, wolves and other wild predators, and reveals his favourite tips, techniques, and easy-to-access locations for getting incredible wildlife shots. This event is open to the public. Registration is $30 for Prince George Photographic Society club members, $50 for non-members. Seating is limited, so contact Bob Steventon at bstevent@uniserve.com / 250-562-3717 to register and reserve your spot now. Join MLA Shirley Bond and Ramada Plaza Hotel Manager, Heather Oland for International Women's Day Breakfast "Celebrating Women Who Make a Difference" at the Ramada Hotel. Join Shirley and Heather as we hear inspiring stories from women in our community. Tickets are $30 available at the Ramada Hotel. Proceeds will support community programs. Sacred Heart School 9th Annual Gala fundraising event. Come out and support the oldest Elementary School in Prince George! This is the only major community fundraising event the school holds, monies raised this year will aid in funding the outdoor play structure. Tickets can be purchased by coming in to the school office or calling to charge by phone. 785 Patricia Blvd or call 250-563-5201. Tickets are $55 each - a great buffet meal, entertainment and of course FUNdraising! The Caledonia Ramblers are hosting a family-friendly snowshoe to Livingston Springs in Crooked River Provincial Park on Saturday, March 3. The trip is rated moderate, will largely travel over flat terrain and take four hours to complete. Participants should bring a day backpack, sufficient water or something hot to drink, snacks and/or lunch, extra warm clothing and possibly gaiters and hiking poles. Meet at the city hall parking lot 10 minutes before the scheduled 10 a.m. departure time. The carpool fee is $5 and the trailhead is 70 kilometres north of Prince George. For children 5-12 yrs. who love to play chess! Settle in for a free, family-friendly movie. Feel free to bring snacks and enjoy the show. For 0-9 yrs. Enjoy listening to Kodaly’s Intermezzo from the Harry Janos Suite, Gounod’s Petite Symphony, Dvorak’s Symphony No. 9. Support Heritage Elementary and enjoy a fun night out! Tickets are just $30 and include dinner, comedy show, silent auction, and a dance. Featuring comedians Mwanasi Lo, Brian Majore, Devon Flynn, Jon White, Penelope Pahal and DJ Services from the Art of Magic. There will also be a 50/50. Arthritis affects people of all ages, including children. Join us to learn about a spectrum of arthritis-related issues that are affecting both your physical and mental health, and how you can navigate through the health services and access arthritis-related services. Topics will include symptoms, treatment options, and availability of healthcare providers for different types of arthritis among children and adults. This event is available both online and in-person (space is very limited), and coincide with the Prince George Wellness North Expo 2017. Dr. Lori Tucker , pediatric rheumatologist, Dr. Greg Marcotte, rheumatologist. George, BC at the CN and Kin Centre Arenas March 2-4, 2018. British Columbia Hockey League (BCHL) Prince George Spruce Kings. Spruce Kings will all be in action again on Saturday night. The Caledonia Ramblers will be hosting a snowshoe up Pope Mountain near Fort St. James on Sunday, March 4. The trip is rated moderate-strenuous, 12.6 kilometres round trip with a 753 metre elevation gain. It should take 3 hours up and 2 hours down. For more information, please contact Mark at 250-563-1410. A documentary about the lives and contributions of women in American history. 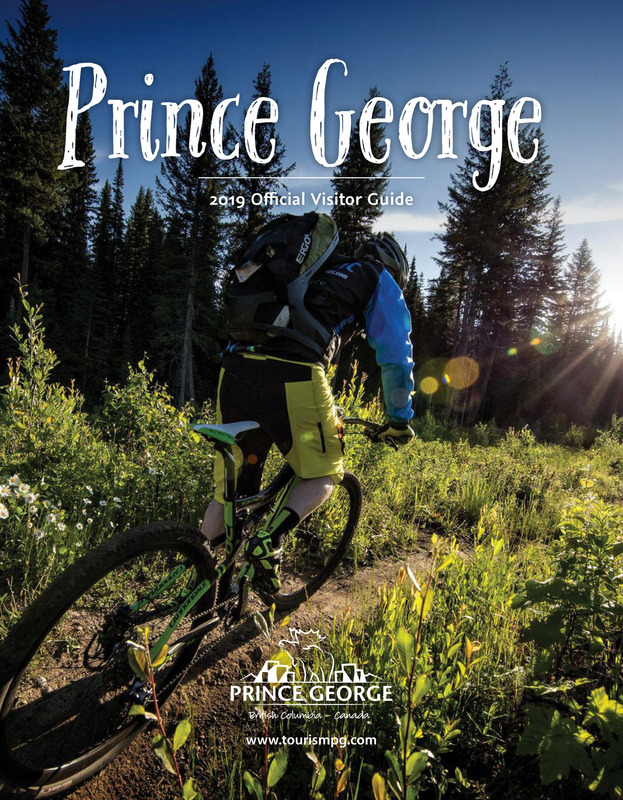 When you visit the Market, pick up a free printed copy the 2018 Spring and Summer Active Living Guide – a great resource for information about recreation programs and events in Prince George.